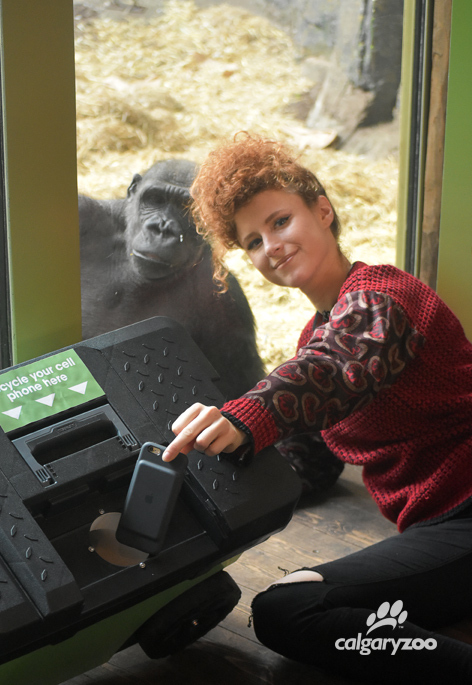 When it comes to her passion for gorillas, Kiesza doesn’t hideaway. As soon as the international pop sensation heard about a new baby gorilla in her hometown, she immediately thought about how she could lend her voice and support to protect these endangered species. The timing could not be better as the zoo was looking to re-launch its cell phone recycling program to celebrate the birth of its new baby gorilla- it was the perfect fit. 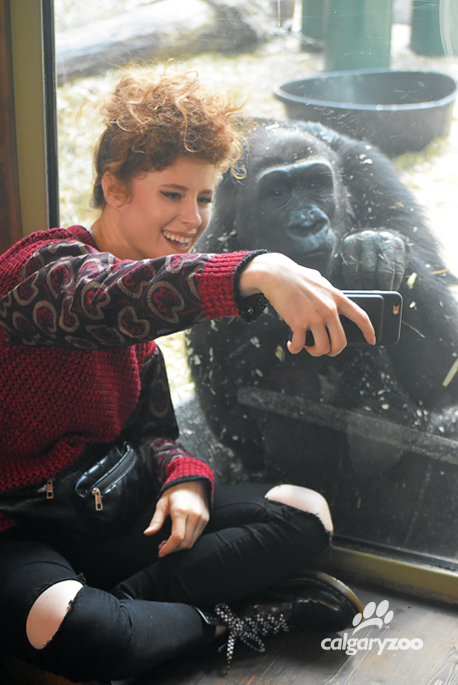 Singer Kiesza showed her famous Hideaway video to gorilla Zuri – who had a good long look. 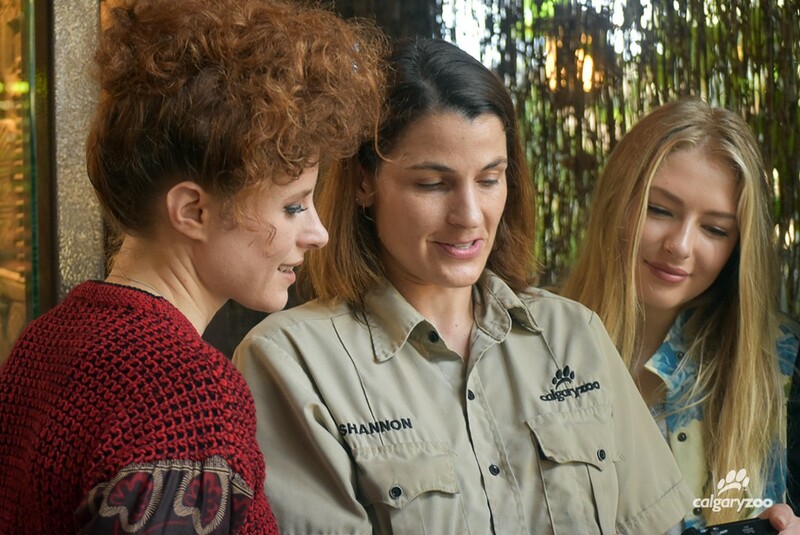 Zookeeper Shannon Collard shares gorilla stories with Kiesza and fills her in on the baby gorilla’s growth. Fascinated since she was a child, Kiesza learned all she could about the great apes, and leapt at the chance to become involved with the Dian Fossey organization in 2015. After an incredible trip to Rwanda and experiencing a troop of mountain gorillas in the wild, she returned home with a renewed respect for the species, and a need to become further involved. The cell phone recycling bins can be found in the TransAlta Rainforest and at Guest Relations. Cell phones also contain other valuable metals that can be extracted and re-sold. By recycling your phone at the Calgary Zoo, ores and elements are safely reclaimed, no harmful chemicals wind up in landfills and the zoo can help animals in the wild. This means wild gorillas, like the ones that Kiesza visited, have another chance to live in peace. All it takes is your participation. Next time you visit the zoo, bring your old cell phones to donate– the zoo has bins set-up in the TransAlta Rainforest building and at Guest Relations. Your conservation efforts mean that each phone is a step towards happier gorillas.